Diet can impact your fertility. As a general rule, good overall health is the best starting point for achieving pregnancy, so naturally, diet plays a part. Common-sense choices like fruits, vegetables, whole grains, and lean proteins help your body’s overall functioning which in turn may increase your chances of getting pregnant. If trying to get pregnant, it’s recommended that you avoid refined foods, excess sugar, and products with additives. It’s common knowledge that pregnant women should stick to a healthy diet. Growing a baby is hard work for your body, and requires the building blocks of good nutrition. But what about when you’re not pregnant yet? If you’ve explored all the possibilities for enhancing your fertility, you may have considered diet as one of a host of factors. But is there any truth to claims that what you eat can increase your likelihood of conception? When trying to get pregnant, it’s recomended one eats lean proteins and plenty of vegetables. Opt for healthy choices like lean proteins. The answer appears to be yes – to a point. As a general rule, good overall health is the best starting point for achieving pregnancy, so naturally, diet plays a part. Common-sense choices like fruits and vegetables, whole grains, lean proteins, and limited sweets help the body function well, making it a friendly place for baby. Taking it a step further, however, a study of over 17,000 women showed that even more specific eating patterns might promote baby-making. Women experienced 69% reduced risk of ovulatory disorder infertility when their diet consisted of low levels of trans fat and animal protein and high levels of high-fat dairy products and non-heme iron from plant sources (as well as when the women practiced other lifestyle behaviors such as physical activity). Avoid foods high in sugar and processed foods when trying to get pregnant. Try to avoid processed foods. Eating right for your fertility may sometimes have more to do with what you don’t eat than what you do eat. In her classic women’s health manual “Taking Charge of Your Fertility” ($26), Toni Wechsler, MPH, encourages “limiting consumption of refined foods, excess sugar, and products with additives.” Beyond their more well-known negative effects like spiking blood sugar and causing weight gain, these foods create an obstacle specific to pregnancy: “All of these can impede the liver’s ability to metabolize hormones,” says Wechsler in her book. Though you might not think of your liver as part of the fertility equation, it helps regulate hormones like estrogen that are crucial to achieving pregnancy. Boosting fertility might not only mean cutting back on what you eat but also what you drink. Several studies have linked alcohol consumption to lower chances of achieving pregnancy. One revealed that infertility increased significantly in women who had 10 or more alcoholic drinks per week, as compared to low or moderate drinkers. Caffeine may have an influence too. A 2016 study found that drinking more than two cups of coffee per day led to higher miscarriage rates. The Mayo Clinic recommends limiting caffeine intake to 200 milligrams a day, or about two eight-ounce cups of coffee. In her book, Wechsler agrees, and adds other substances to the list: “If you have unexplained infertility, you and your partner should both seriously consider reducing or even eliminating caffeine, nicotine, drugs, and alcohol from your diet,” she says. Your weight status affects your fertility. Being both overweight or underweight can hinder the body’s ability to conceive. Diet can affect fertility in another, more indirect way: your weight status. Since being both overweight or underweight can hinder the body’s ability to conceive, you may need to adjust caloric intake or the types of foods you consume to reach an optimal weight for fertility. This holds true even if you’re trying for a baby via in vitro fertilization. Higher body mass index (BMI) is associated with negative outcomes for patients undergoing IVF. For some, certain conditions that impede fertility may require their own dietary interventions. Polycystic ovarian syndrome, for example, which causes infertility in many sufferers, can often be managed with diet. If you believe a health condition may underlie your difficulty getting pregnant, talk to your doctor or dietitian about how to address it through nutrition (or other means). “By addressing nutrition needs with a qualified practitioner familiar with your case, you know that you’re in the best hands and working with someone creating a plan for you, your body, and your fertility journey,” says Yaffi Lvova, a registered dietitian who specializes in pregnancy nutrition. LYON, Nov 25 — In recent years, Japan stunned traditional whisky-makers Scotland, Ireland, and America by exploding onto the international market and winning over connoisseurs of the tipple long considered an exclusive dominion. Now, entrepreneurs in France — a country better known for its mastery of wine and cognac — seem to have taken heart from Japan’s success, with dozens throwing themselves into the once exclusive world of whisky. The country today has 33 fully-operational whisky distilleries with another 30-odd soon to come on line — as soon as their unique Gallic-styled spirits have matured in barrels for the required minimum three years — according to the French Whisky Federation. France already has 79 local whisky brands on the market, and sales have quadrupled from 215,000 bottles in 2010 to 850,000 bottles last year — the bulk for the domestic market. No country on Earth drinks more whisky than France per capita — some 2.15 litres per person in 2014, according to research agency Euromonitor. The closest competitor was Uruguay at 1.77 litres per person, with the United States in third place at 1.41 litres. The first whisky was distilled on French soil in 1987, by Warenghem in Brittany in northwest France, across from whiskey giant Ireland. “There is good whisky in France,” Jim Murray, author of the best-selling “Whisky Bible”, told AFP. Besides the two newcomers — Alsatian whisky from the Alsace region and Breton whisky from Brittany — there are only two other PGIs for whisky in Europe — for Scotland’s Scotch and Ireland’s whiskey, which has its own spelling. “France can make very good whiskies because it has all the required raw materials — barley, malt, and pure water — as well as well-honed skills in distillation and ageing,” said Christophe Fargier, founder of the Lyon-based brewery Ninkasi which has just launched its very own whisky. “What people look for in a whisky is a degree of authenticity,” he told AFP. The increase in demand sent prices soaring: a barrel used to cost about US$30, now they go for about US$300, said Philippe Juge, director of the French Whisky Federation and author of the French version of “Whisky for Dummies”. Warenghem sells about 200,000 litres (53,000 gallons) of pure-alcohol equivalent — a measure of quantity used in the spirits industry — per year. Comparatively, a medium-sized Scottish distillery produces about seven million litres, said Juge. Cara Buat Corndog Yang Mudah & Super Lazat. Favourite Anak-anak Ni! Biasanya cuti sekolah mak-mak makin sibuk di rumah. Kadang-kadang nak cepat tu kita pun gorenglah nugget atau sosej. Tapi balik-balik makan benda tu kita pun bosan juga. 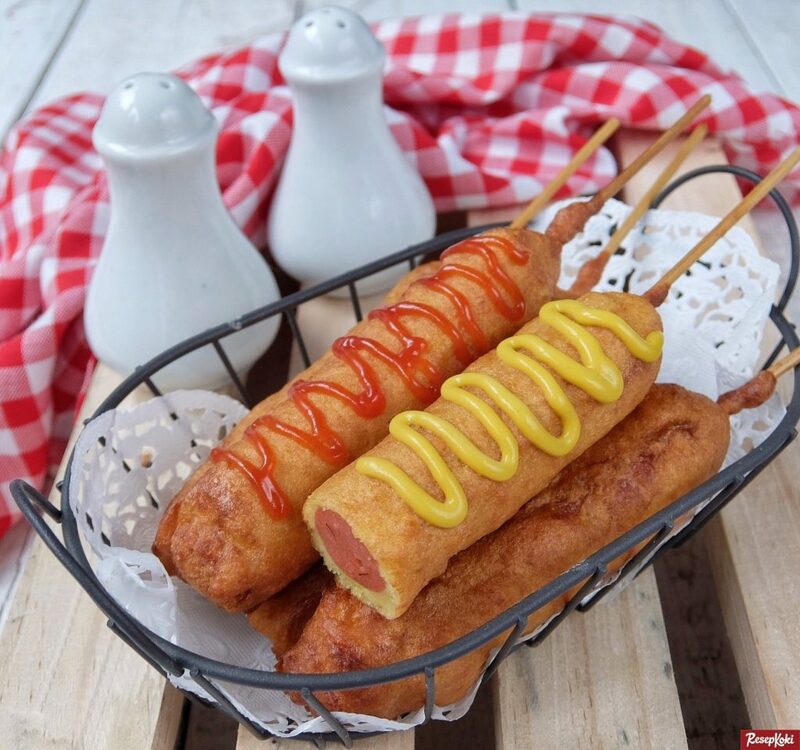 Apa kata cuba olah sedikit dan buat corndog yang mudah ni. Sosej goreng yang dibalut tepung gebu memang sedap dimakan panas-panas. Tambahan pula kalau ada cheese yang cair di dalam. Bila tarik tu… Fuhh, terasa nikmatnya. 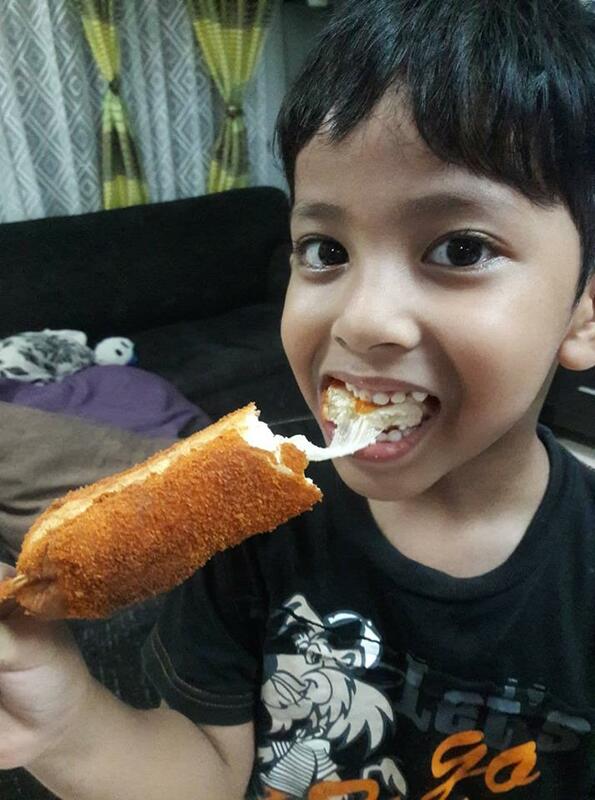 Disebabkan corndog ni dicucuk dengan lidi macam sate, budak-budak mesti lagi suka sebab ia mudah dipegang. Jom kita tengok resepi yang dikongsikan oleh Puan Mahfuzah Amin ini. Katanya kejap je dah kena serbu dengan anak-anak. Mesti sedap tu! Mula-mula gaulkan pancake mix dengan sedikit susu full cream dan gula kastor hingga menjadi doh. 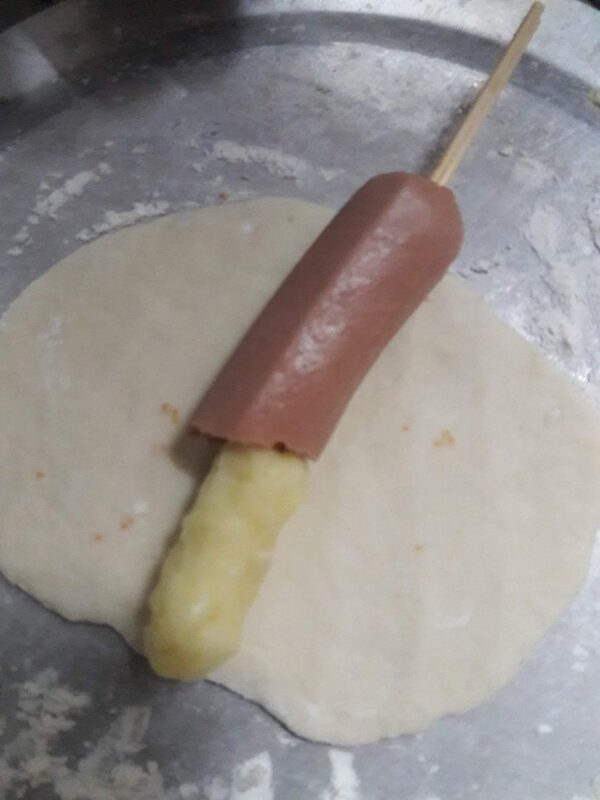 Kemudian asingkan kepada beberapa bahagian ikut berapa banyak corn dog yang kita nak buat. Kalau tak gunakan susu dan gula, boleh juga bancuh dengan air biasa. Cuma rasanya sedikit plainlah. Seterusnya saya potongkan sosej kepada 2 bahagian. Cucukkan pada lidi sate. 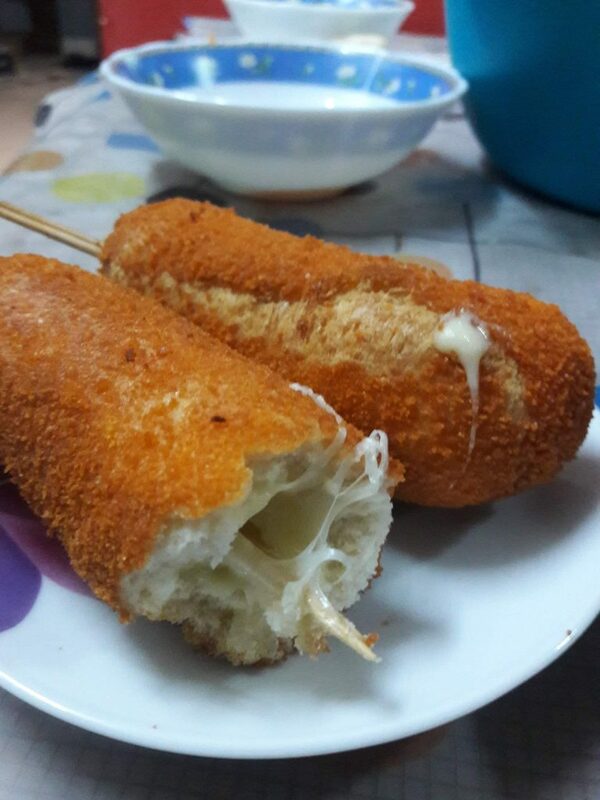 Bahagian atasnya saya cucuk dengan keju mozarella yang digumpal. Kalau nak letak keju cheddar sekeping keliling sosej pun boleh. Tapi saya buat macam ni sebab anak nak feel tarik-tarik cheese tu. 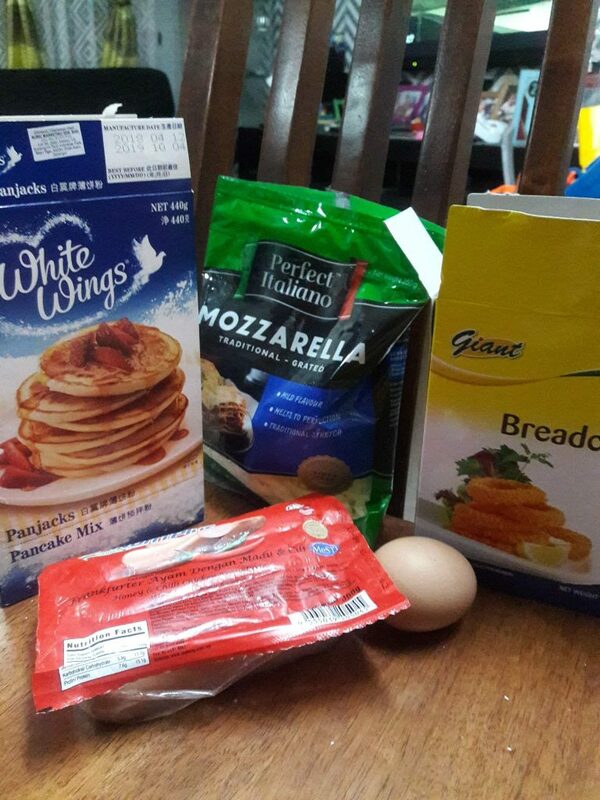 Lepas tu balutkan dengan doh yang kita dah uli menggunakan pancake mix tadi. Taburkan sedikit chilli flakes untuk bagi rasa sedap. Boleh juga gunakan herbs lain atau serbuk lada putih / hitam ikut suka. Kemudian untuk tambah kerangupan di luar, kita salutkan dengan breadcrumbs sebelum digoreng. Celupkan telur untuk jadikan pelekat. Kemudian kita salutkan dengan breadcrumbs. Macam biasa, panaskan minyak dalam kuali. Kemudian bolehlah kita goreng macam biasa. TIPS: Boleh rebuskan sosej terlebih dahulu kalau nak dapatkan tekstur corndog yang cantik. 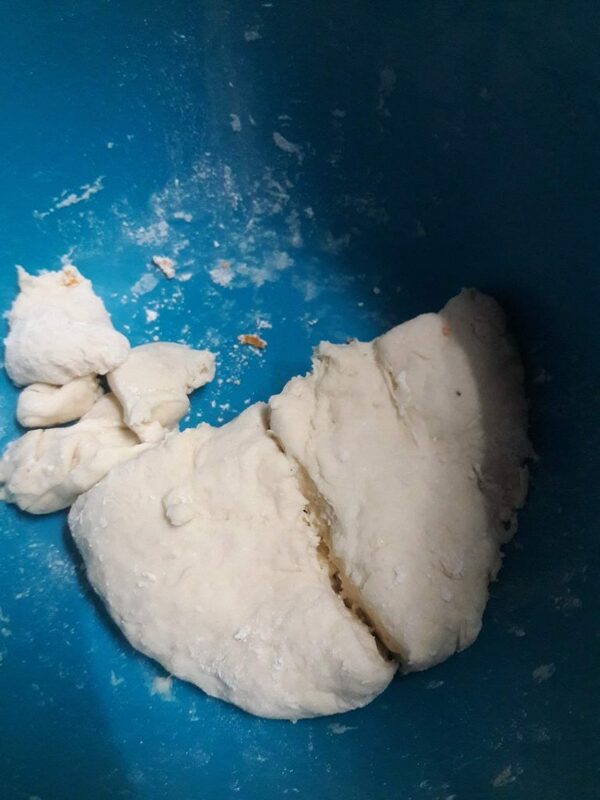 Masa menggoreng pun sekejap saja sekadar nak dapatkan kerangupan daripada doh di luarnya. 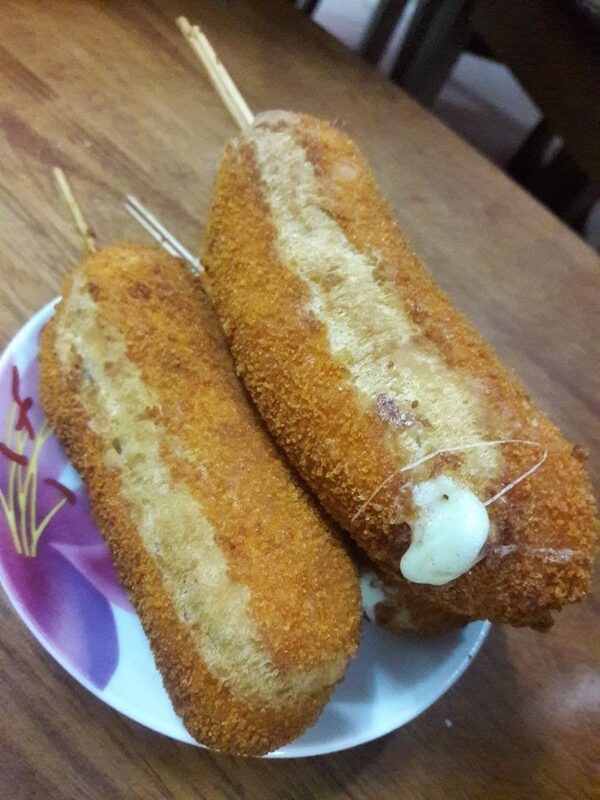 Putar-putarkan corndog ketika menggoreng untuk dapatkan warna perang yang sekata. Makan panas-panas, dengan keju yang cair di dalam memang sedap….! Cheese Leleh Tu Yang Power! Kalau nak lagi sedap boleh bubuh mayonis, cheezy sauce, atau sos cili biasa. Barulah bertambah naik lagi rasa dia macam dalam gambar di bawah ni. Ni saya tak sempat nak deko apa, anak-anak dah ‘serang’. 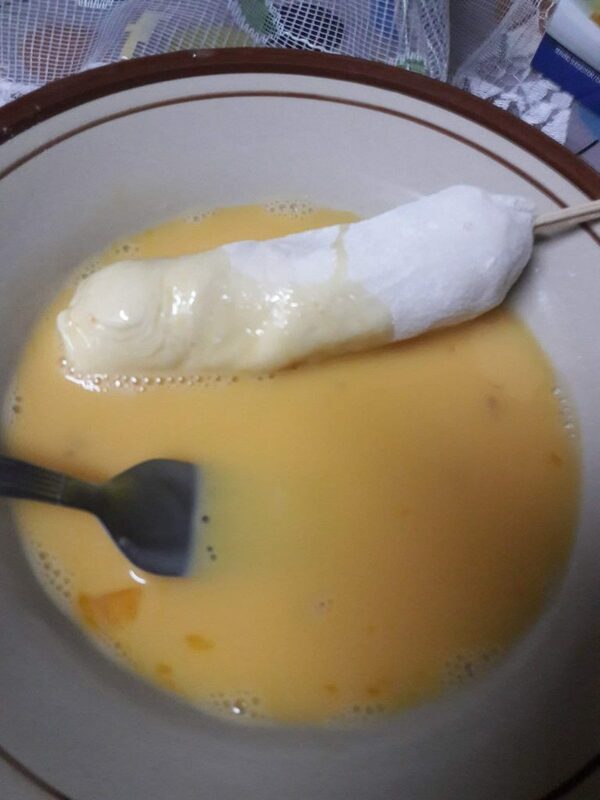 Sesuai sangatlah buat corndog ni di rumah, terutamanya musim-musim cuti begini. Biasalah anak-anak kan memang cepat lapar. 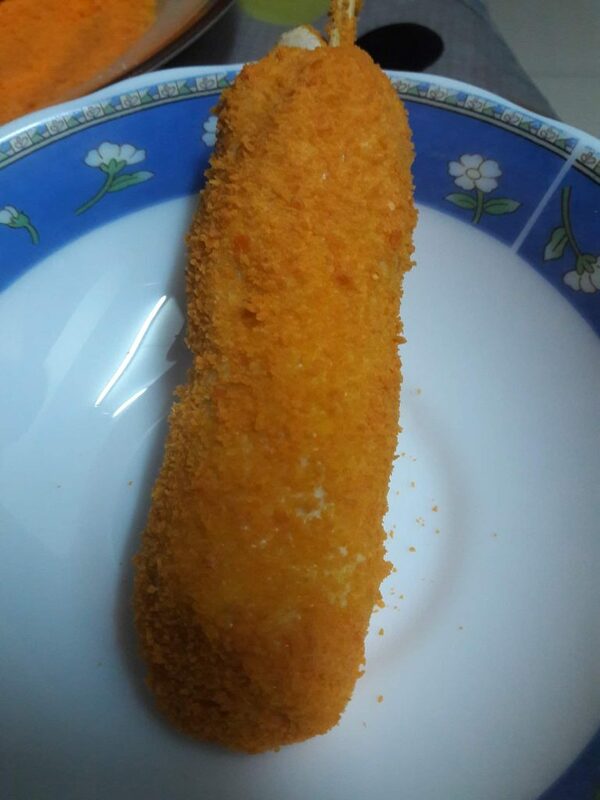 *Resepi corn dog ala Korea ini disumbangkan oleh Puan Mahfuzah Amin menerusi Facebook. Ia telah disunting dan diterbitkan semula dengan kebenaran. Untuk sebarang pertanyaan, boleh rujuk post asal beliau di SINI. GEORGE TOWN, Nov 25 — For those who have never experienced snow, step into Ice Cafe at Lebuh Victoria here, to feel the Arctic cold in your face while savouring a drink with some desserts. According to Ice Cafe business development manager Hazlami Rosli this is the first ever iced-themed cafe in Malaysia where visitors could get the feel of the European cold amidst the landscape of the Arctic. “As they enter the cafe, visitors will find themselves in a magical land of ice and the temperature is maintained at 10 degrees Celsius throughout the day. “ We want our customers to experience the cold as well as enjoy the icy decorative features while tasting our specially crafted desserts,” he told Bernama when met at the cafe recently. Aside from the cool temperature and unique ice-themed decorations Hazlami said the cafe’s ice-themed desserts were also out of the ordinary. We have an interesting array of desserts on our menu among them, the ‘kandar ice-cream’ ‘rojak ice- cream’ and kiwi grape all served in bowls made entirely from ice. “We try to incorporate local and traditional food unique to Penang in our desserts and came up with the kandar ice-cream. “Here we add more or less the same ingredients used in Penang’s popular ‘nasi kandar’ to give the ice-cream a local flavour,” he said adding next on the menu would be the tom yam ice-cream. Hazlami said the cafe decorations which included an ice bed, igloos and snowmen make it a great location for some worthy photographs. When it comes to a healthy quantity of quality protein intake, vegetarians or vegans are often questioned about their choice of going meatless. A lot of people believe protein deficiency can lead to a number of unwanted diseases. And rightly so. An insufficient intake of protein may cause various health problems such as kwashiorkor, marasmus, impaired mental health, edema, organ failure, wasting and shrinkage of muscle tissues, and weakness of the immune system. But does it mean that choosing a meat-free diet brings down your protein consumption? We don’t think so. On International Meatless Day, we bring to you a variety of good quality vegetarian proteins you can opt for instead of meat. 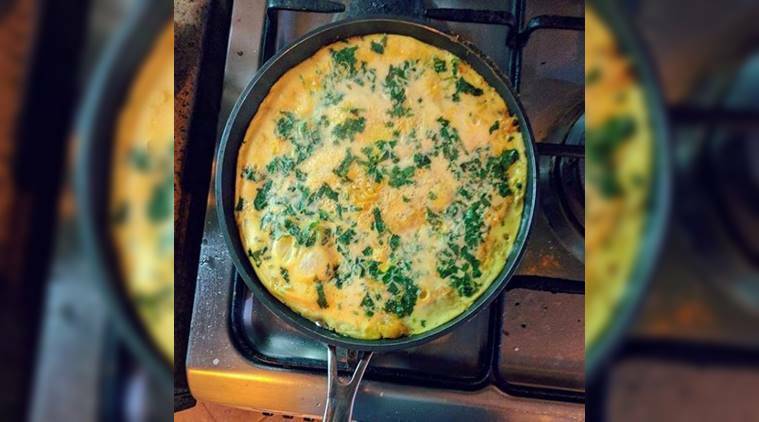 A single egg has a nutritional profile that makes for an excellent source of protein. 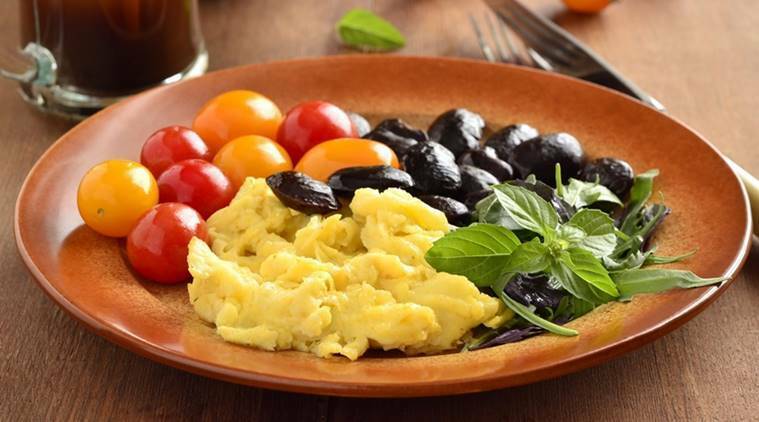 With six grams of protein a pop, eggs are an ideal food to include in your diet if you are going meatless. 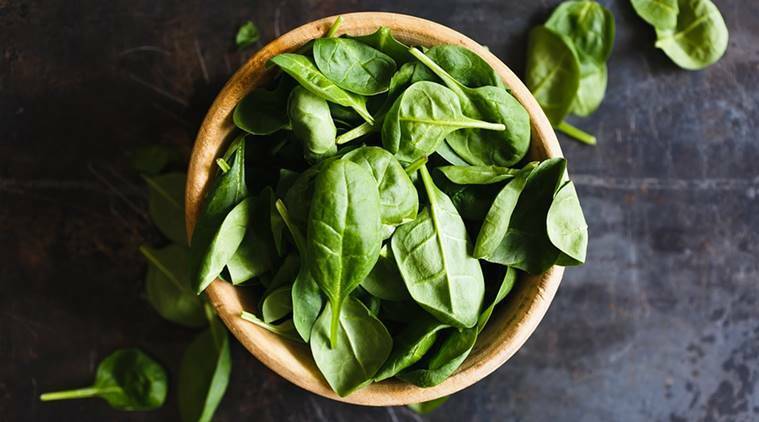 One cup of spinach has almost as much protein as a hard-boiled egg, and for half the calories. Maximise its nutrition by steaming spinach instead of eating it raw. With 14 grams of proteins in just half a cup of cottage cheese, these make for a good source of protein as well as healthy fats for vegetarians. Easy to prepare and easily available, just marinate and roast a few slabs of cottage cheese if you want lean muscles. This tropical fruit packs more than four grams per cup, along with nine grams of fiber and only 112 calories. 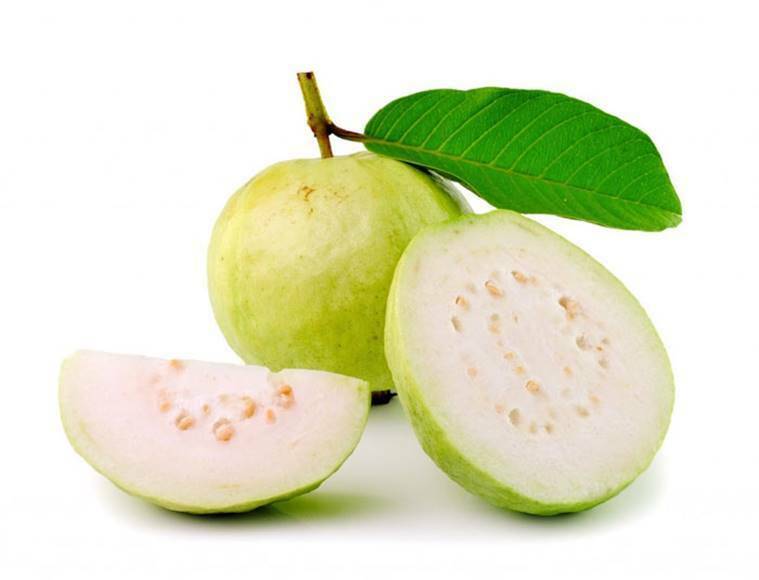 Add guava to your salad or enjoy it solo as a snack to maintain a healthy protein intake. One cup of pea contains eight times the protein of a cup of spinach. 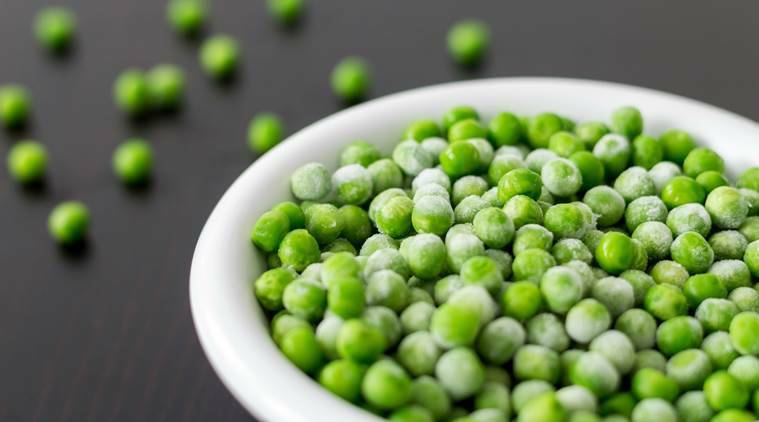 Loaded with vitamin C and fibres, peas can be incorporated into your diet easily. Just add in a handful of peas to your soup or rice, or steam it and enjoy it with a sprinkle of salt, pepper, and paprika. 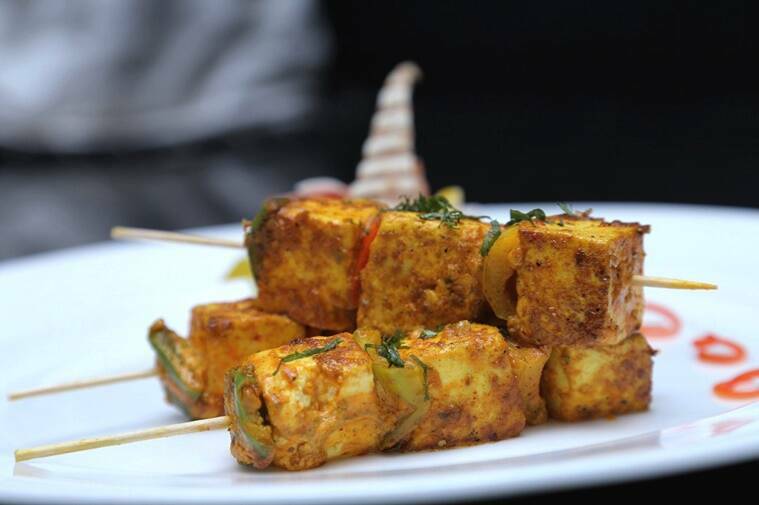 On International Meatless Day, if you want to indulge in a vegetarian fare and ditch meat, protein intake should not be a cause of worry anymore. PUCHONG, Nov 25 — Whenever I mention going to Puchong for a meal, I can hear a collective groan from my friends. Sure, it’s far. Super jammed too. Especially when you pick the wrong timing. But once in a while, a place pops up that you don’t mind making a trip further away from your comfort zone for. Like this place that serves Matang-style seafood porridge. Opened about nine years ago, this restaurant is run by the Beh family who hails from Matang, a village which is a stone’s throw away from Taiping town. People flock to the village to eat their famous seafood porridge, made with the freshest catch from the sea. In Puchong, brothers Beh Lian Peng and Beh Liang Sing recreate that whole dining experience using the freshest seafood from their village. Back in their hometown, their family are fishermen, hence the best seafood is easily sourced. Beh Lian Peng (left) and his brother, Beh Liang Seng (right), started this restaurant when he was just 20! (left). The steamed sotong is perfectly cooked with no rubbery bits (right). The restaurant was started by Lian Peng when he was just 20! You’ll find that the whole Beh family start at a young age in the F&B industry. After finishing Form 2, they started working in a restaurant at Matang. Through hard work, they picked up the cooking skills. Even their current head chef, who is Beh’s cousin, is only 20 years old! For their first outlet, they selected Puchong, influenced by their former business partner. The place also made sense since there was little food choices back in those days. When they first opened, they offered a buffet of seafood to their customers. That was enough to draw people’s attention without any advertisement. Since then, they have a steady stream of regular diners. The steamed clams are perfectly cooked and accompanied with a sweet broth laced with Chinese wine. The rice is cooked ahead and added to the broth during the cooking session (left). The rice is added to the broth to make the porridge on high heat (right). In their early days, they partnered with many investors to open outlets all over Malaysia and even Singapore. During their heyday, they had outlets in Ipoh, Johor and Melaka. They also opened places around the Jalan Kuchai Lama and Kota Kemuning area. Sadly, all these places aren’t operating anymore, leaving only this restaurant. Beh explained that they have slowly upgraded the restaurant to what it is now. Previously, it was just a simple set-up with fans, tables and chairs. Now the place sports an open kitchen, allowing you to see what is cooking. They also use marble tables since the food keeps warm on that surface. Walk into the restaurant and you’ll find each table has a large claypot of seafood porridge. This is the Teochew version where cooked rice is added into a flavourful broth. The grains remain whole and have a nice fluffiness. You get to relish fresh silver pomfret from Matang which have a sweeter taste (left). Once steamed, quickly eat the delicate pomfret fish especially the fins which is the best part (right). You also get more broth versus rice ratio with this type of porridge. Each spoonful of this dish is heartwarming since the broth is packed with flavour. The broth is made by boiling large pork bones and ikan bilis for four hours! They also add white radish to the broth and that lends a natural sweetness to it. The menu offers a variety of combinations for your porridge. There’s a mix of prawns, fish slices, sotong and crabs, with the four treasure combination. If you prefer fish maw, try the four style king which is served with prawns and pomfret. Or go seafood-free, by ordering their minced meat porridge. Select your preferred combination first and add on anything you like from their list of ingredients. It can be a luxurious choice like canned abalone clams or even mushrooms. The portions range from one person to 10 persons for large groups. As a hungry solo eater, I could easily polish off the single portion by myself. The crabs with roes are prepped for steaming in their central steamer (left). These fried sole fish is perfect with the soupy porridge (right). During the weekends, you will find many families dining here. When it comes to your choice of fish in the porridge, it depends on whether you’re challenged when it comes to handling fish bones. Should you hate dealing with pesky bones… go for the boneless siakap fish slices. If you’re a true blue fish connoisseur, the must order is pomfret. The flat looking fish is the preferred choice for its delicate, sweet fish flesh. The restaurant offers two types of pomfret: silver and white. It’s more than just porridge here. The restaurant also offers stand out seafood dishes. Go for their steamed clams. They use the bigger, harder shelled Manila clams here that is steamed to juicy perfection. It comes with a clear, sweet tasting broth laced with Chinese rice wine that you won’t be able to stop drinking. The crabs are sourced from Matang (left). The siakap fish is kept chilled under a bed of ice (right). Another must-eat here is the steamed sotong. Again, their steaming skills are perfect, as you won’t find any rubbery bits. It comes with the soft egg sacs. Even the steamed pomfret is good. They also offer patin fish and large sea grouper. There is also smaller-sized crabs from Matang with softer shells. These smaller sized crustaceans require more work compared to their Indonesian cousins but you’ll be rewarded with sweet, delicate flesh. And what goes really well with the soupy porridge… is their deep fried sole fish. Nibble on the golden brown fish with its crunchy bones. The fish flesh is also sweet and delicate. The restaurant also does salt baked dishes with ikan terubuk. Nothing is added except its salt crust, hence you get to taste the sweet, creamy flesh on its own. You can also order salt baked crabs too. For your greens, there’s the standard choices like choy sum and yau mak but try the sweet, crunchy French beans with dried shrimps. The bigger portion of porridge with pomfret, fish maw, prawns and sotong is best shared with family or friends (left). Order this sweet, crunchy stir fried French beans with dried shrimps (right). Once the porridge is cooked in the pot, it is ladled into the claypot for the diners (left). Once it the salt crust is removed, you need to remove the skin and bones before serving the ikan terubuk (right). Don’t miss out their desserts, which is made by Beh’s wife. The appeal here are desserts that leave you satisfied without that tooth aching sweetness. You have the traditional Teochew or nee which is essentially yam paste served with gingko nuts. Traditionally made from lard, this version tends to be less creamy. Instead, it has a stickier texture compared to others. The highlight is their crystal peach gum dessert. According to Beh, the family discovered this product when they toured Hong Kong last year. Touted as the (hidden) secret to beautiful skin, it is essentially resin collected from wild peach trees. The hardened gum is rich in amino acids and collagen. Traditional Chinese medicine practitioners also use these amber-like crystals to regulate cholesterol levels, reduce stress levels and protect the liver. You can also order the herbal dessert with snow fungus, red dates and gingko nuts (left). As the Behs are Teochew, they also serve or nee made with taro and gingko nuts (right). For a sweet and nutritional ending, go for their peach gum dessert with double boiled papaya. Once you soak and double boil the peach gum, it turns into something similar to jelly. Here, they serve it with a double boiled sweet broth with slices of papaya and wolf berries. They also have another Chinese herbal dessert. Again, this is not too sweet. This dessert is a treasure trove of snow fungus, gingko nuts and red dates. The shop is one of the longest to survive in this row of shophouses. If you love cooking at home, you can also pick up fish like pomfret from their standalone freezer. The seafood is sent from Matang every other day. Occasionally, some diners even select the special fish here, asking them to cook a meal out of it. Beh also tells us that when they score any special items, they will even offer it up to their regulars. You’ll definitely leave here happy, with thoughts of returning with family and friends. Who knows… you may soon be making regular trips to Puchong!